Sailors! Many of you asked the question #WhyNotDyingFetus for quite some time and to that we really have no choice anymore, but to ask why not? 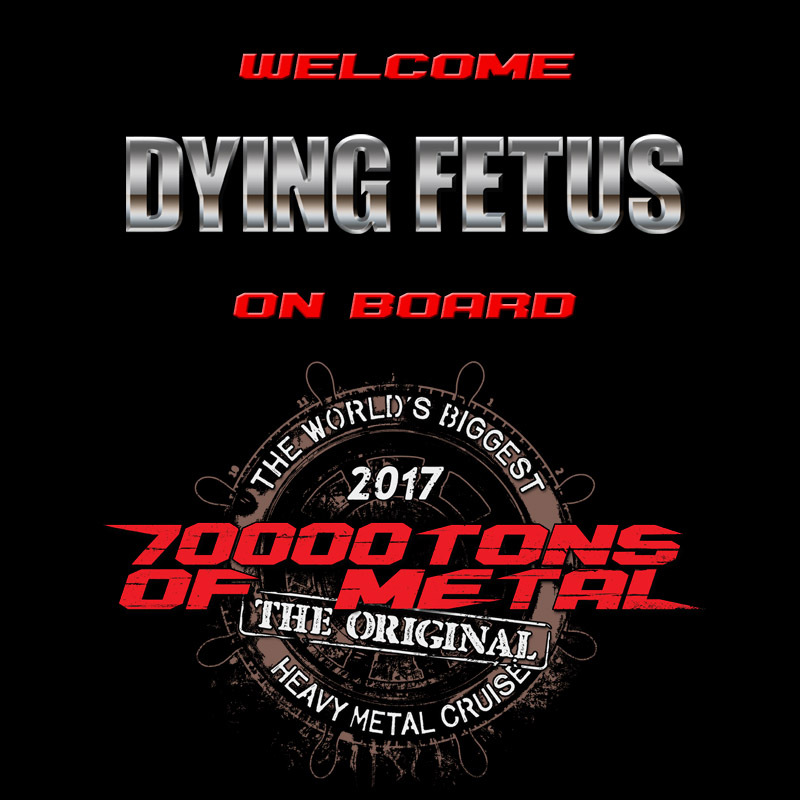 Ally yourselves with 70000TONS OF METAL, The Original, The World’s Biggest Heavy Metal Cruise as we prepare to destroy the opposition with none other than DYING FETUS! ← Epic Folk Metal On An Epic Cruise!